I have always been interested in the effect of water on survival—not just that of plants, animals, and humans, but on cities and even civilizations. A river changes course, and a city disappears. That’s less true these days, as we now pipe water into all sorts of inhospitable places that were never really meant to support life, at least not much life (Las Vegas and Los Angeles come to mind). But historically, it has been an issue. I can remember being amazed as I walked the streets of Ostia Antica, once the great port of Ancient Rome, to note that there was no sign of the great harbor that once made this spot so important. The silting up of the harbor doomed the great city, which sank into oblivion (though the city is one of the all-time great places to visit Roman ruins, as so much is still intact). In Western Australia, Cossack was once a bustling port, too. 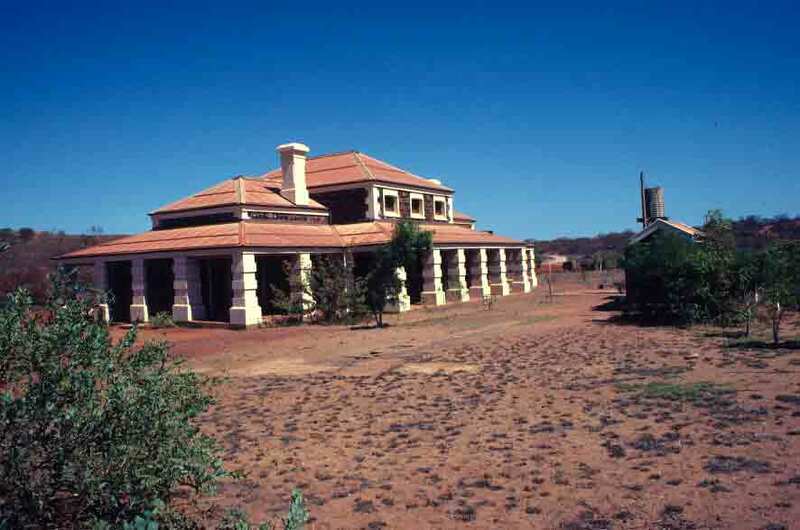 Not like Ostia, of course, but impressive for a remote location in the Australian outback. 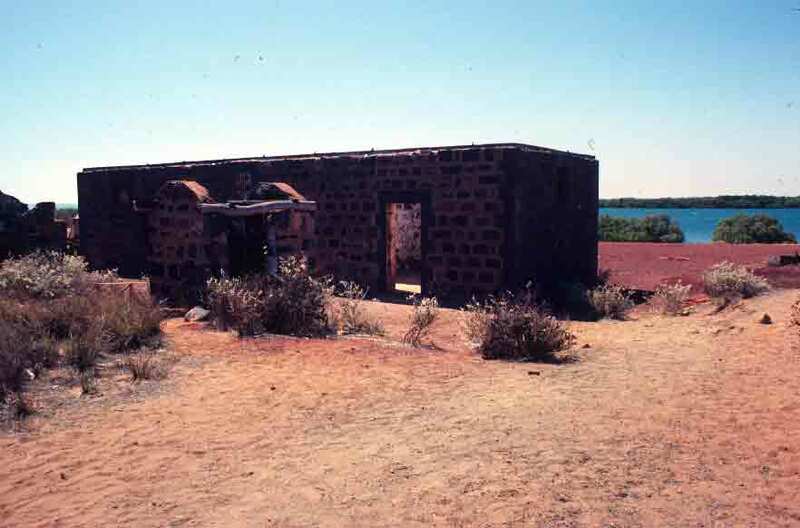 Things started to bustle a little less as the pearl oyster beds diminished and people moved to Broome. But it was the silting up of the harbor that ended Cossack’s glory days. Cossack, which was our next stop as we crossed the Pilbara, is now a ghost town, but a few imposing stone buildings, some of them restored by those who love the region’s history, suggest a time when the town was busier. In addition to being the first port in the northwest to service the region’s growing pastoral industry (by 1869, there were more than 39,000 sheep in the Pilbara), it was also the gateway for thousands of people seeking their fortunes in the Pilbara gold rush in the 1880s. And for a while, it was a cornerstone of Australia’s booming pearling industry. The town had several names before it became Cossack. The name that finally stuck came from a ship that brought the governor of Western Australia, Sir Frederick Weld, to the site. So it has been Cossack since 1871. By 1887, there was a horse drawn tramway connecting Cossack with the nearby town of Roebourne. But Cossack was soon in decline. By 1900, pearlers were moving on. By 1910, the harbor had silted up and shipping had been relocated. A few people continued to live in the town until after World War II, but by 1950, the town had been abandoned. It was not abandoned for good, however. Those history buffs keep restoring buildings, interested in saving a piece of history. And Cossack has become a big tourist draw for this little corner of the northwest. The site is actually quite lovely. The harbor may no longer be useful, but there is still water nearby, and it makes a remarkably vivid backdrop to the little ghost town. The images below are of an abandoned house and of the restored Cossack Courthouse. Millstream Park is actually part of the combined Millstream-Chichester National Park. It’s all one region, but Millstream is an aberration—an oasis in the midst of general aridity. The Chichester Range contrasts sharply with the lushness of Millstream. It presents a rocky, rugged face that borders on looking like a different planet. As formidable as it is, camel trains once crossed this terrain, to reach the coast. It is, for most, a place of transit, the part you have to get past to get where you want to be. It is geologically ancient and fascinating, but it is not a place to linger—at least not unless you’ve brought plenty of water. As did the camel trains of old, so too we were just crossing over the Chichester Range. But, having just left Millstream, it was astonishing to be reminded what a difference a little water makes. Millstream National Park is a wonderful oasis in the midst of the arid Pilbara. Between the Hamersleys and Millstream, we’d spent a night on the outskirts of the iron ore-mining town of Mt. Tom Price, which was pleasant enough, but we were delighted to get back to wilderness—especially this wilderness. It was a real change from the dry, ruggedness to which we’d become accustomed. 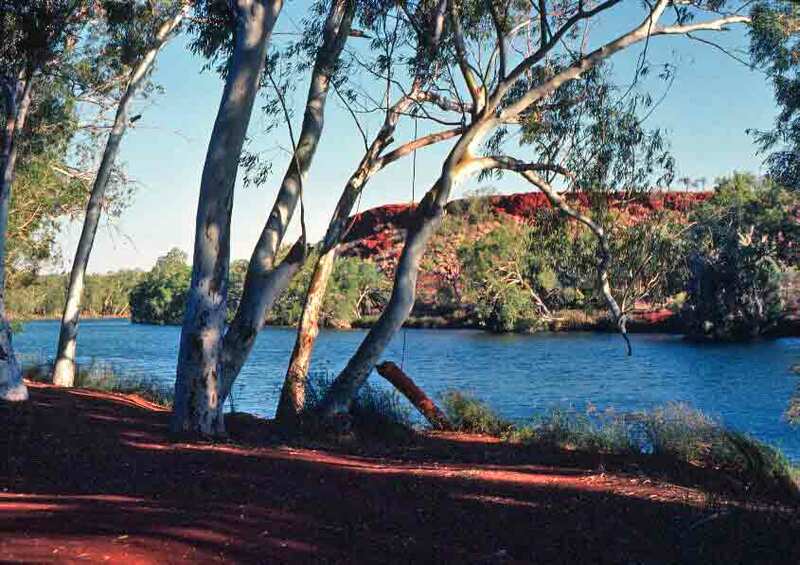 The Fortescue River cuts through the park, and was flowing, deep and cold, when we visited. 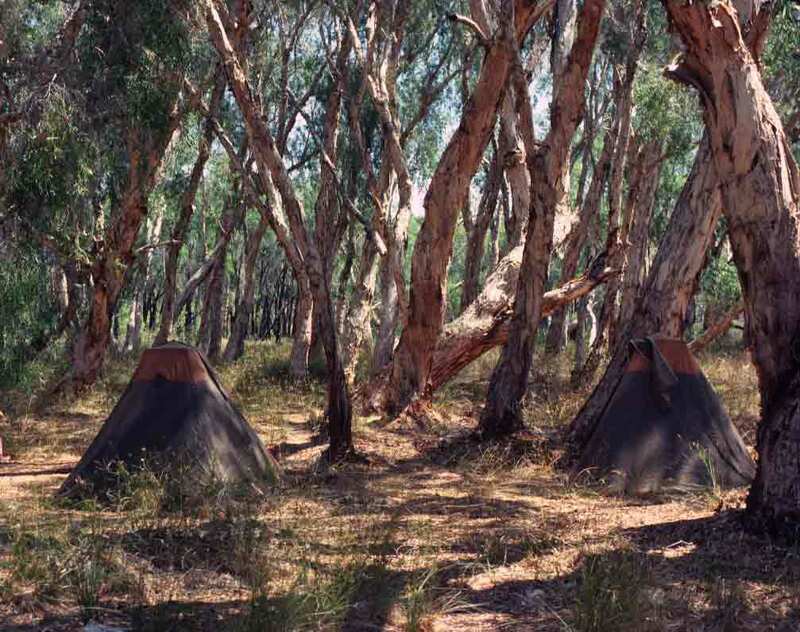 The forest of paperbarks that borders the river offered us a glorious setting for our bush camp, as well as delightful opportunities to hike and enjoy the flora and fauna, and the proximity of the river made it possible for us to go swimming every time the day seemed a bit too warm. The pictures below show our tents pitched among the paperbarks and the red cliffs that rose on the far side of the river, about a mile from our camp. Splendid place. 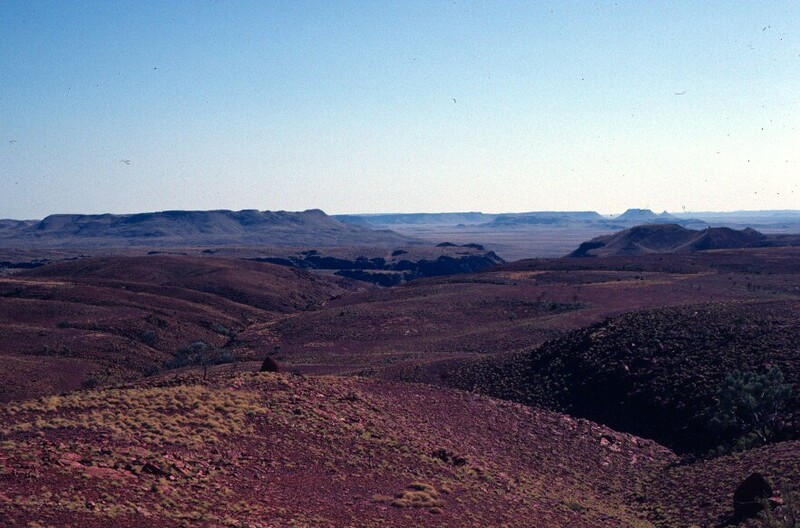 Despite the fact that much of the Pilbara is dry to the point of crispness, there is a surprising amount of flora and fauna, particularly close to places, such as the gorges, where water is available much of the year. Wildflowers, eucalypts, acacias, and spinifex dot the landscape and offer homes to birds, bugs, lizards, and small mammals. Among the birds that make this arid region home is the spinifex pigeon, or Geophaps plumifera. (Geophaps means “earth pigeon,” an appropriate moniker for these attractive little ground-dwellers.) Spinfex pigeons nest near clumps of spinifex or small shrubs, simply scratching a slight depression in the stony soil and lining it with wisps of dry grass. They generally dine on the seeds of the spinifex and other dry grasses and plants—but that doesn’t keep them from accepting handouts, when tourists drop by. 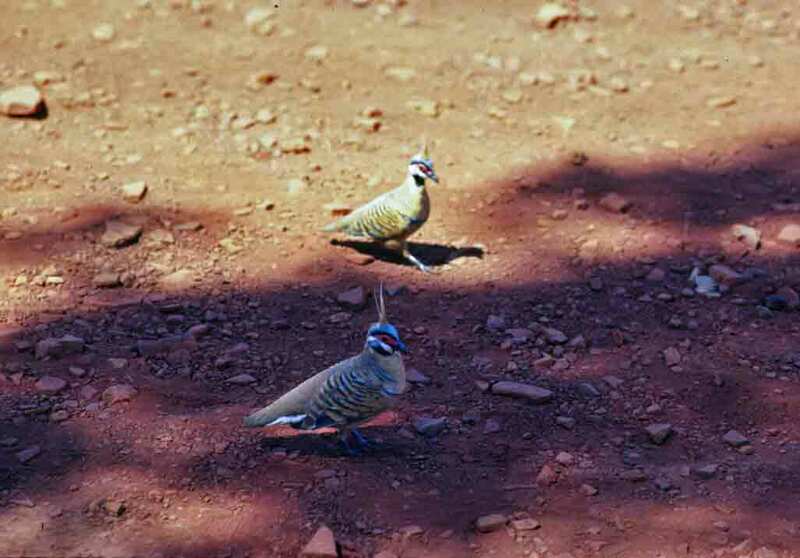 When we reemerged from Weano Gorge at lunchtime, we found that a group of spinifex pigeons had come around in the hope that we’d toss them our crumbs—which we were only too happy to do. These pigeons are usually found in pairs or small groups. They are wanderers, following the receding water supply as the dry season progresses. They lay their eggs when rain brings renewed growth and fresh seeds to the grasses. They lay two eggs, which both male and female of a pair incubate. Both also tend the chicks, which are fledged in about eight days. As you can see in the photo, their coloration is ideal for blending into their surroundings.